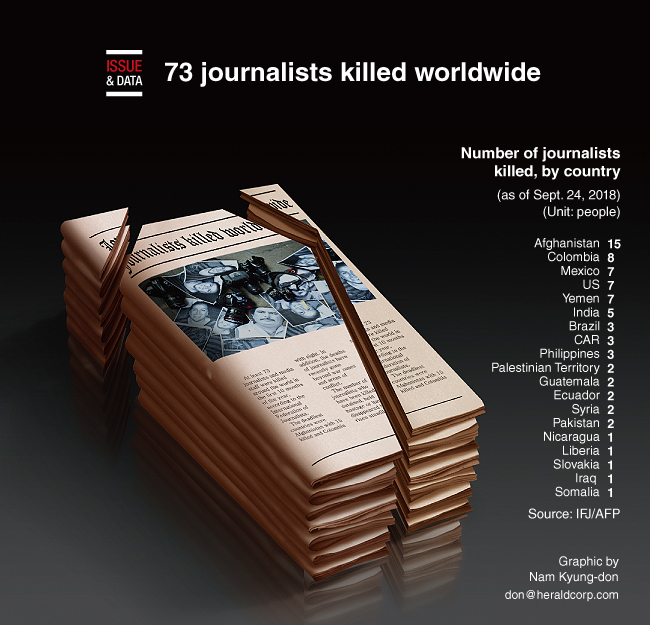 At least 73 journalists and media staff were killed around the world in the first 10 months of the year, according to the International Federation of Journalists. The deadliest countries were Afghanistan with 15 killed and Colombia with eight. In addition, the deaths of journalists have recently gone beyond war zones and areas of conflict. The number of journalists who have been killed, detained, held hostage or have disappeared has risen steadily.